During a recent trip to India, my friend Håvard purchased an innocent looking doll for his daughter Rebekka, however, the doll was equipped with an obscene object that apparently was meant to look like a drum stick. The resemblance of something quite different is striking. 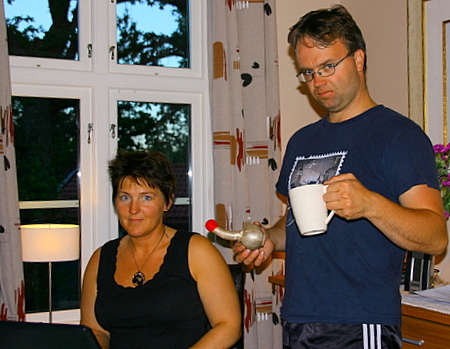 The photo shows Beate, Håvard and a weird object! Next PostHjarteleg til lukke Edle og Kåre!! !